A just-born flutterby, originally uploaded by Erin *~*~*. 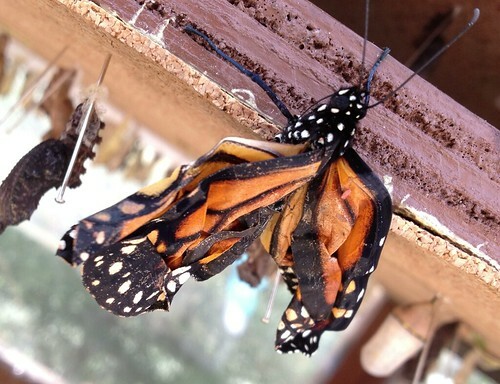 Look how crumpled and magical and beautiful this newly-emerged butterfly is! So beautiful! We have never seen any just emerged like this!